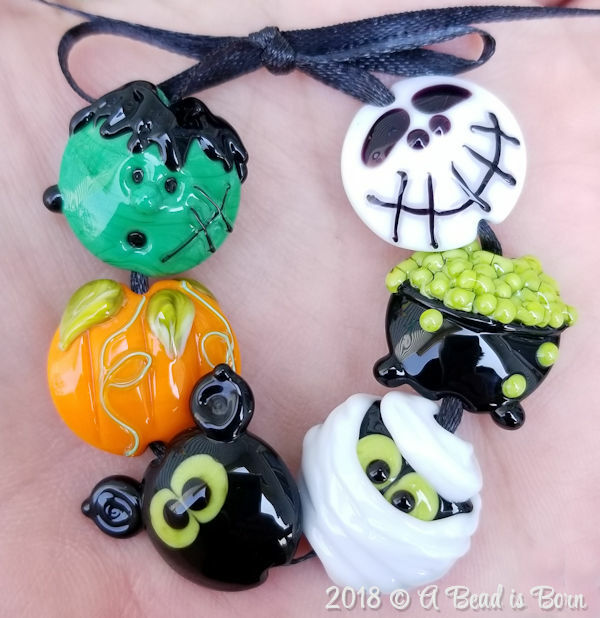 You’ll receive 1 set (6 total beads) of handmade lampwork beads created by me, in my Wisconsin studio. 6 spooky cuties to string in your Halloween jewelry. They measure about 15X15mm and were created on a 1/16th mandrel, which creates a hole of about 2mm. My beads are annealed overnight, using a temperature-controlled kiln. This ensures maximum durability and provides long life when properly used. Meticulously inspected and beads are clean and free of cracks. Buyer pays shipping which is $3.50 First Class USPS with delivery confirmation. Canada shipping is $10.00, everywhere else is 13.50. Shipping options are available at checkout.